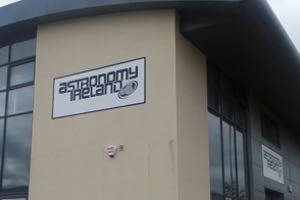 Dublin’s leading designer and manufacturer of office and factory signs for companies in the greater Dublin area. 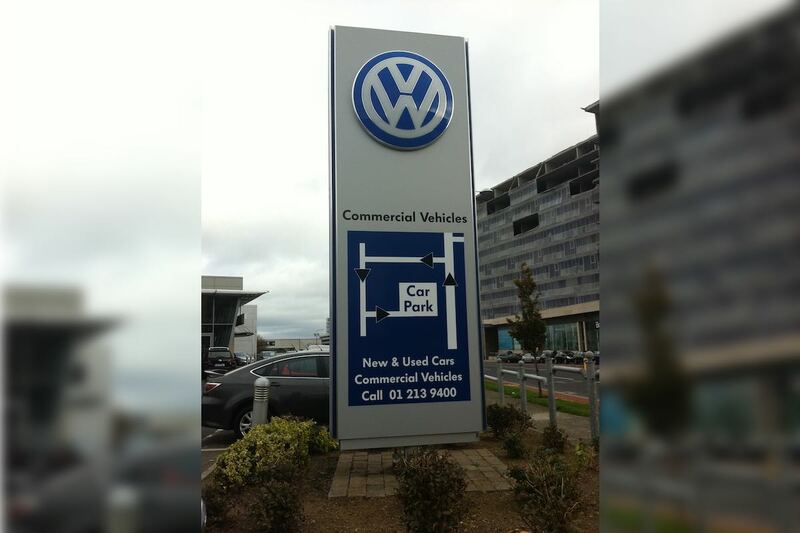 We design and make reception signs, interior signs and exterior signs, safety signs and safety stickers, 3d lettering / cut out lettering, exhibition signs, company signs, copper plaques and brushed steel plaques, wall signs and many other signs. 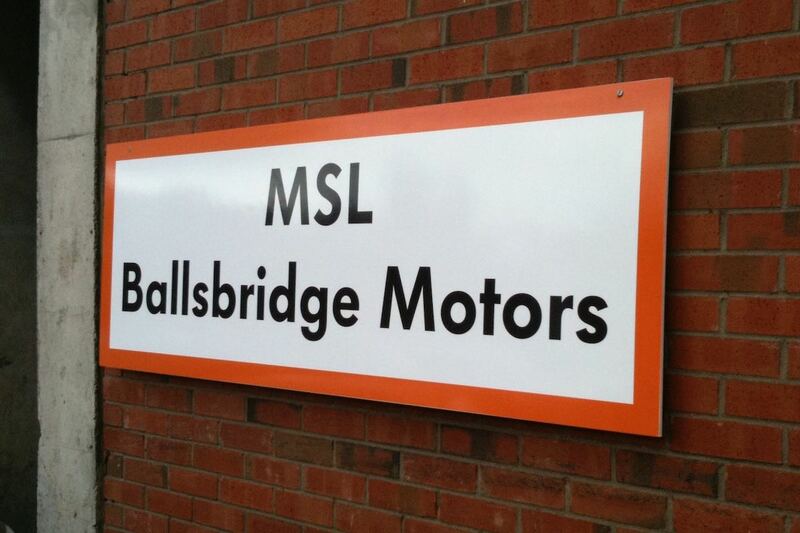 Call us for free advice about your office or factory sign requirements. 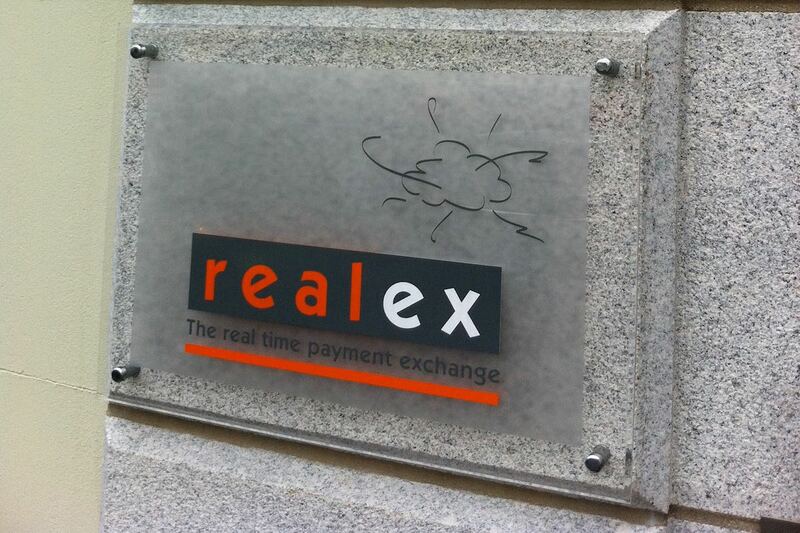 10mm perspex company wall sign with brushed steel studs, sand blast vinyl and full color logo for Realex. Design, output and installed by OGX Graphics. 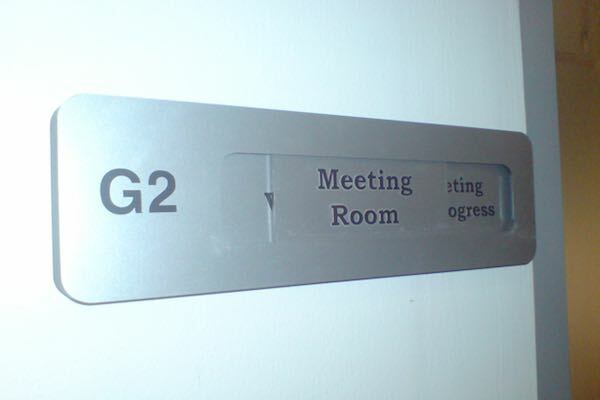 We can put what ever text you want onto these sliding signs from "Meeting in Progress" - "Room Free"e to "Do not disturb" etc. Light weight hanging sign. 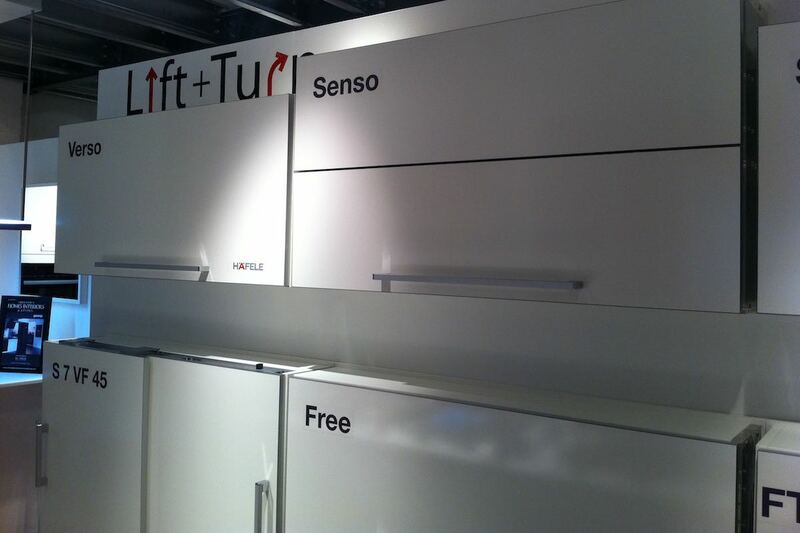 Ideal for high ceiling showrooms and shops. Can be hung with wire, chain or nylon invisible string. We can provide these Silent Salesmen in a number of styles. 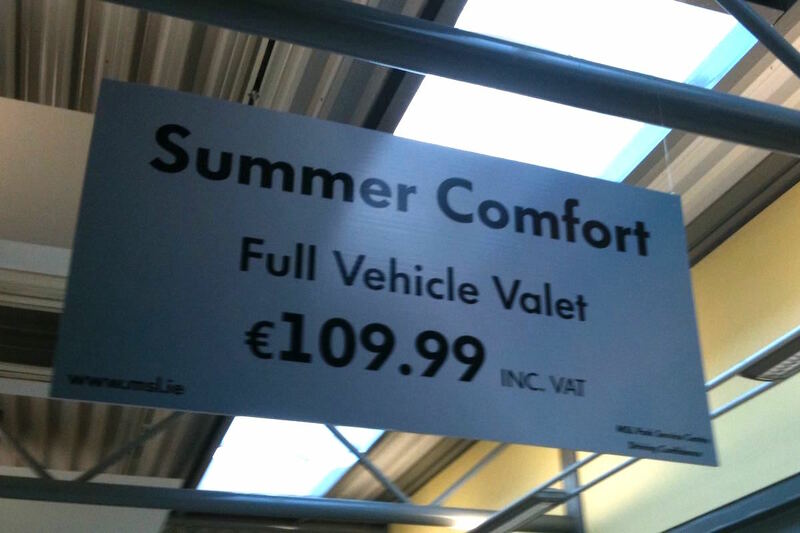 Ideal for a car showroom or display area in a shop. 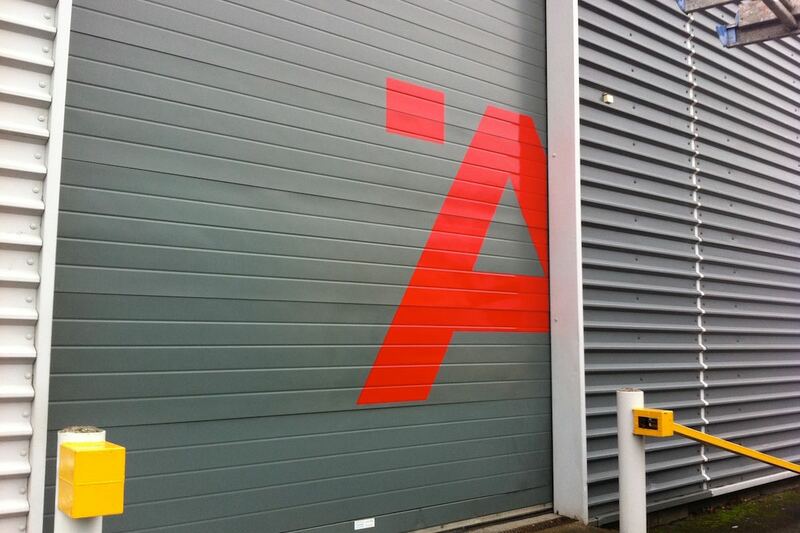 We can design and install any message or design onto standard roller shutters. A great way to get your sales message across even when you are closed. To give any product a permanent personal touch why not let us design and install vinyl for any short term display or long term display. A very cost effective way to finish any product offering. Personalise a pylon with vinyl images. 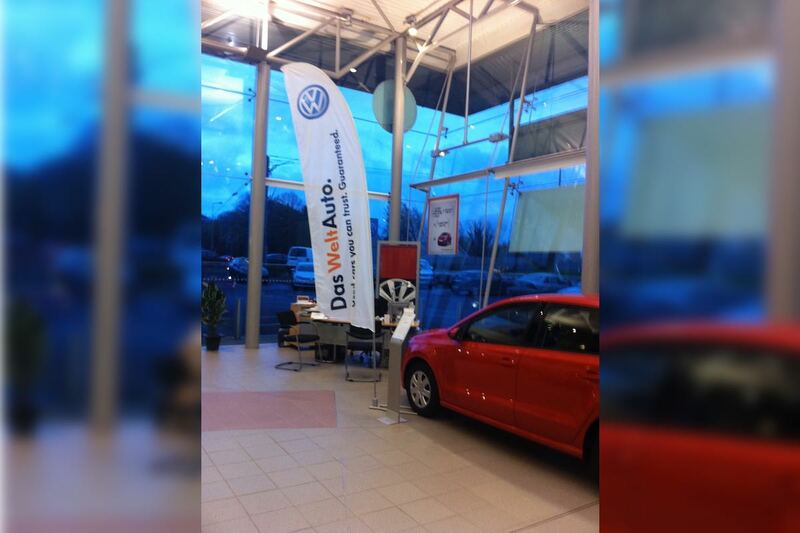 It is an ideal way to use the space available to promote a product or service or simply give directions to your company. Mockup, design, output and installation of this clear perspex sign that allows the brick work to be seen whilst still offering a very strong classy sign. 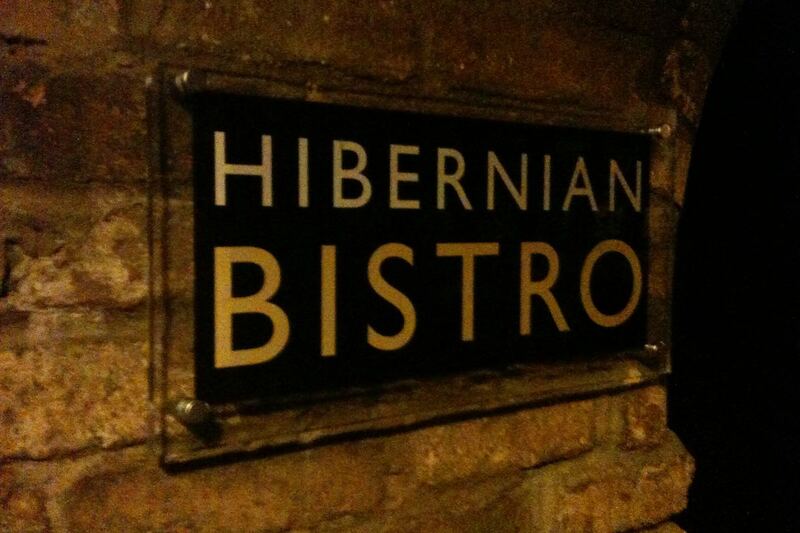 The perspex sign is lifted off the wall with chrome studs. 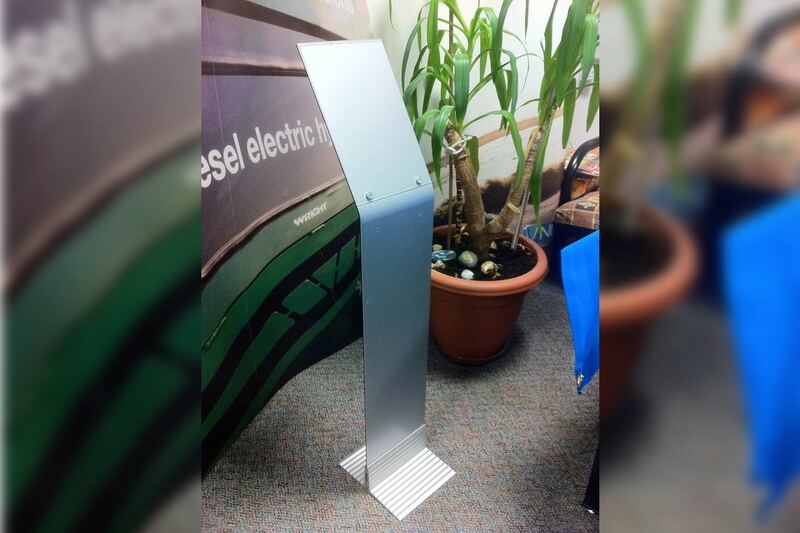 A solid metal sign that can display any message. This is a permanent sign for long term use. 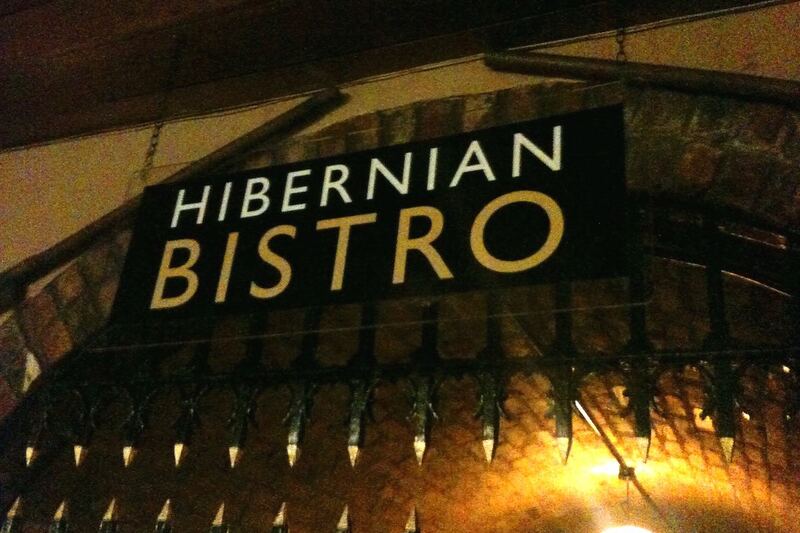 A quality hanging perspex sign that helps the sign fit in with the elegant surroundings. The sign is held up with black chain. 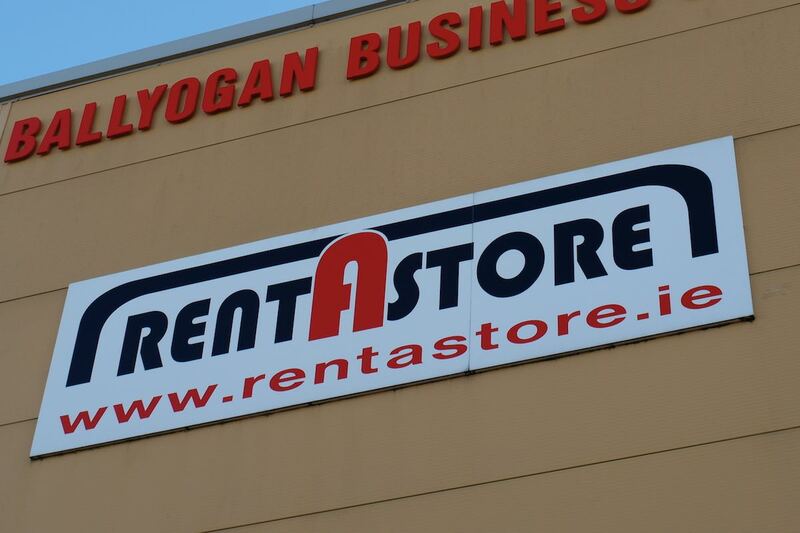 An economical way to have a permanent sign at a great price. 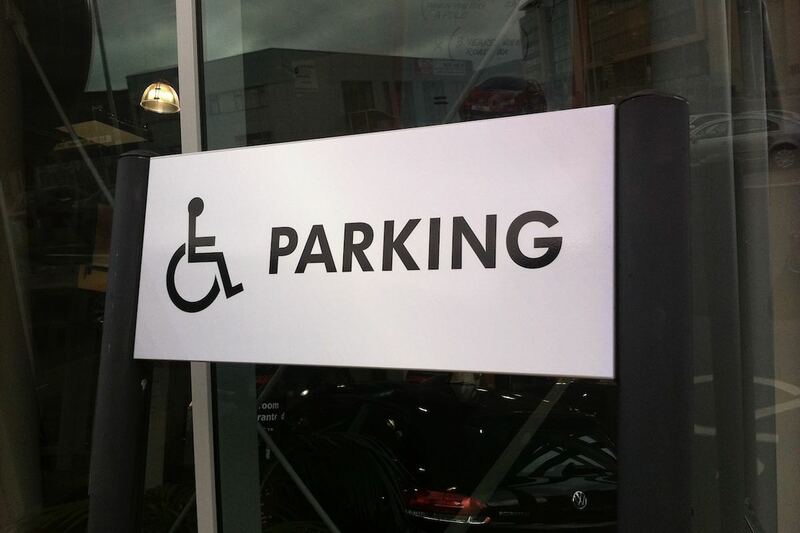 The signs are easy to install and can be interchangeable. They are printed onto diabond (metal) using oil based long live inks. Output and installation of flat diabond signs. These feather flags come in a variety of shapes and sizes from 3m to 6m in height. They are available with a number of different base options from a free standing weight option to a base that goes under a car wheel. The print is single sided and is available in full colour. 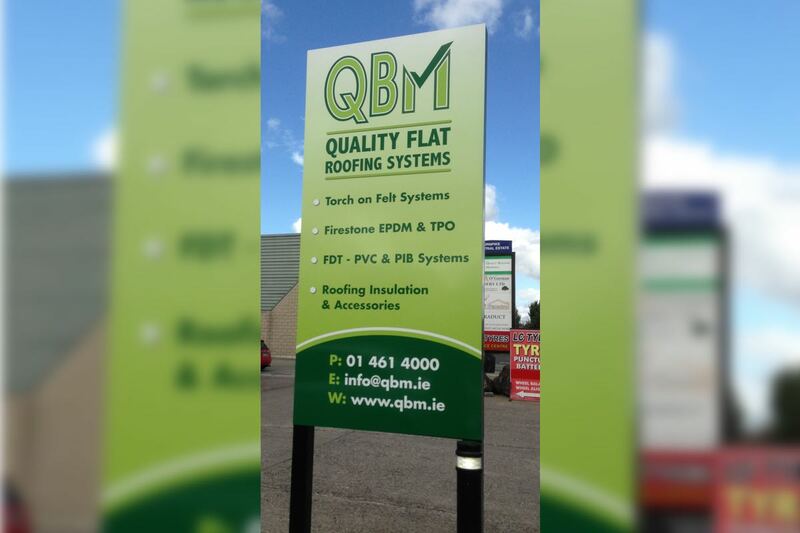 External Company Sign for QBM Dublin. Designed by OGX Graphics. 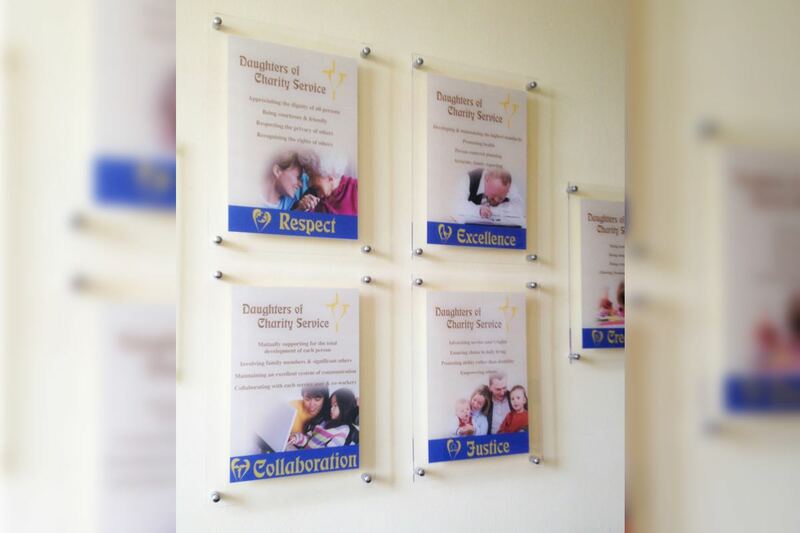 Wall plaques (perspex with chrome studs) for Daughters of Charity Head Quarters. Design, print and install by OGX Graphics. Triangle display sign. Great for indoor and outdoor display areas. Easy to install and move. 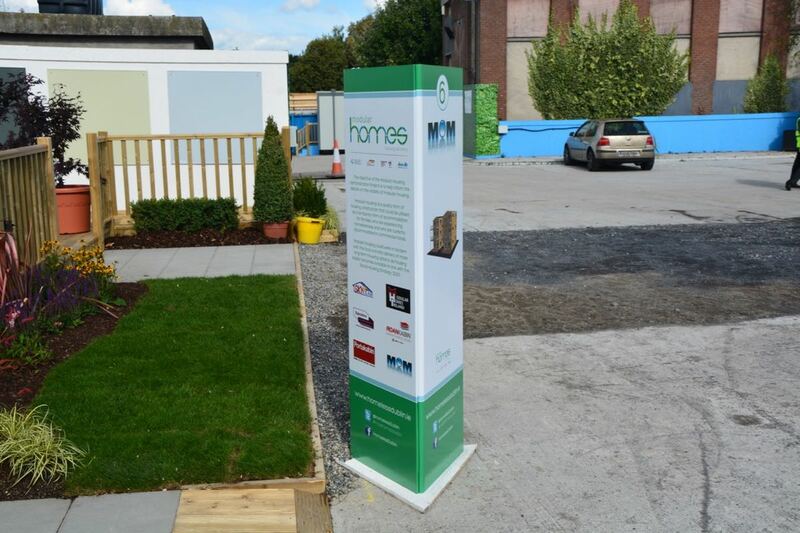 Designed and supplied to Dublin City Council.